Have you ever met anyone who didn't like quesadillas? Probably not! 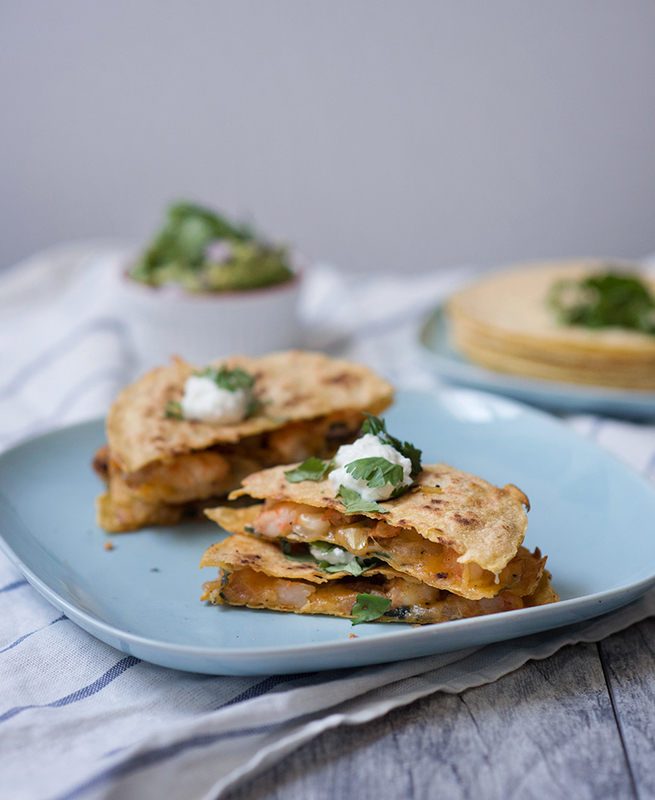 Growing up in San Antonio, we ate a lot of Tex Mex, and while Tex Mex is not my favorite cuisine because I find it heavy, I do love quesadillas. It's kind of the equivalent of the grilled cheese for Americans. 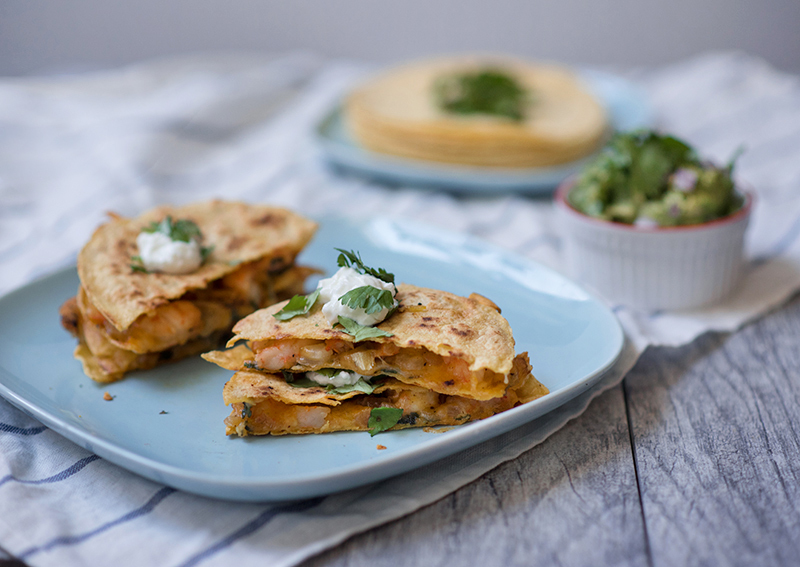 The quesadilla has its origins in colonial Mexico. When the conquistadors arrived from Spain, tortillas were used more like a utensil than a food. The Europeans ate small medieval empanadas that were fried and eaten as a portable food, so adding cheese between dough in Mexico was a natural adaptation. 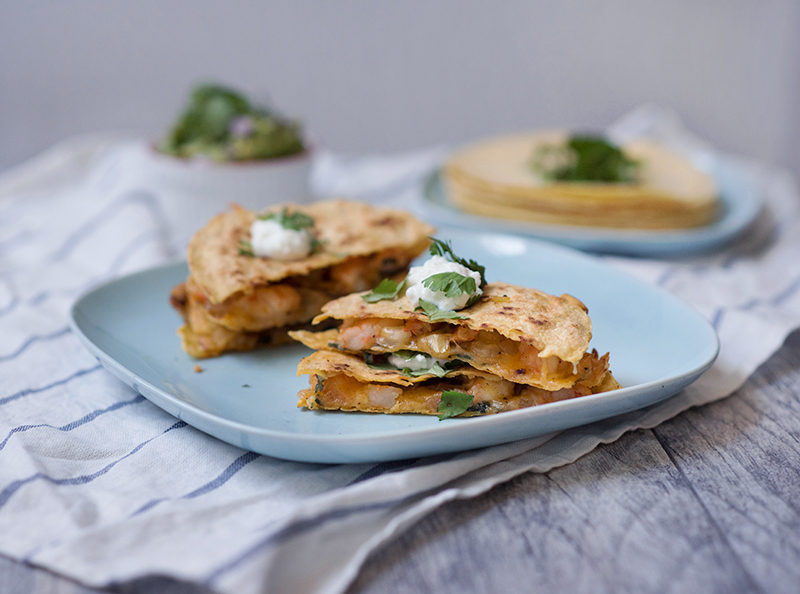 I love shrimp and cheese quesadillas, which is my favorite combo (shrimp nachos are also my favorite kind of nachos). I used to eat mostly flour tortillas, but as I've gotten older I prefer corn. 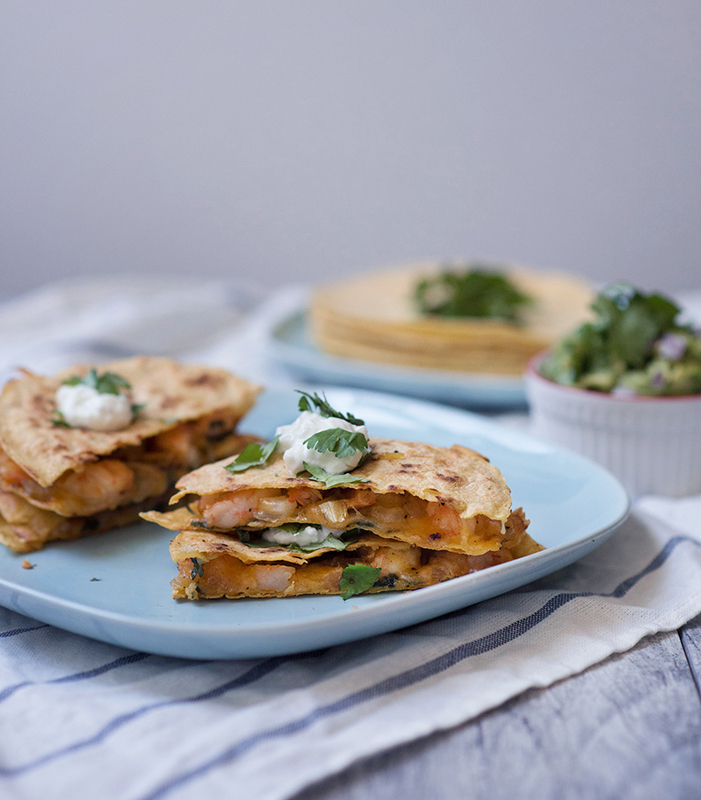 This shrimp quesadilla is super easy and you can make several so you have lunch for the week. Enjoy! Heat a skillet over medium heat and brush with olive oil. Place a tortilla in the hot oil. Spoon shrimp filling and Mexican cheese blend on one side of tortilla. Squeeze lime juice on top of the filling. Add second tortilla on top to complete the quesadilla. Cook until bottom of tortilla is lightly browned, about 5 minutes; flip and cook other side until lightly browned, 3 to 5 minutes. Cut your quesadilla into quarters. 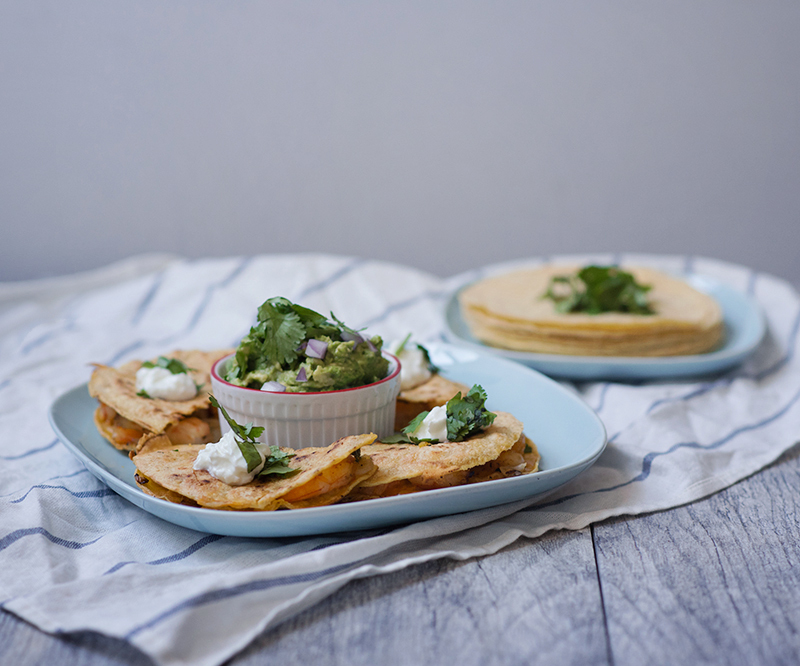 Serve with guacamole and sour cream. Enjoy! You should do a shrimp nachos recipe, in honor of your favorite dish at Rosario's in San Antonio!